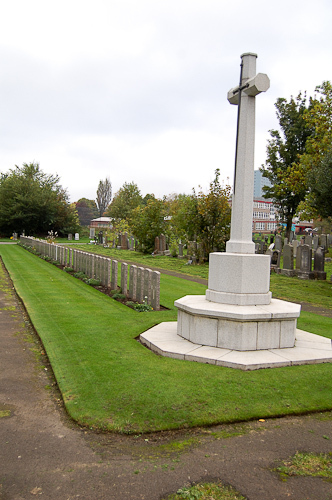 The Cardonald cemetery in Glasgow contains 18 Polish war graves which are under the care of the Commonwealth War Graves Commission. 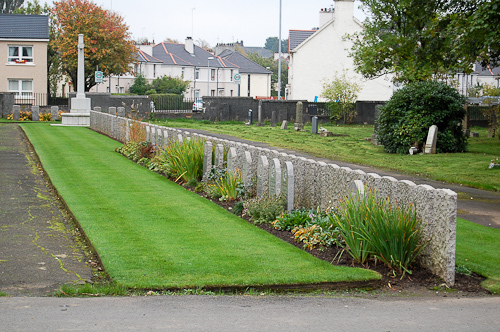 The graves are in a special plot which also contains British and Commonwealth war dead as well as other nationalities. The Polish burials took place in the years between 1941 and 1947. 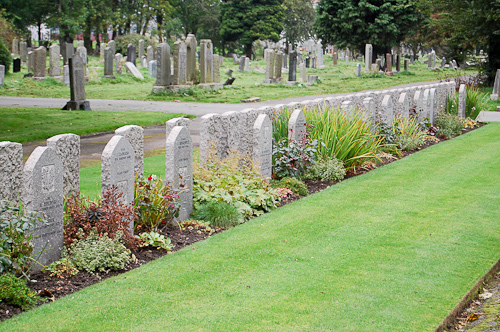 Polish war graves (above), with their familiar pointed head stone, are on the left side row, and British and Commonwealth graves are on the right. An additional Polish war grave is also located behind the Cross of Sacrifice at the top of the picture. The Polish war graves and behind them are British and Commonwealth graves. The Cross of Sacrifice at the war graves plot. The photographs were taken on 9 October 2010. List of names and photographs of the Polish war graves at Cardonald cemetery, 547 Mosspark Boulevard, Glasgow, G52 1SB.